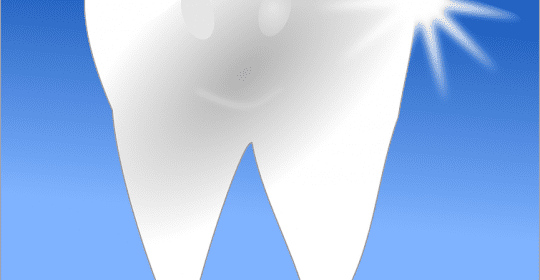 Saeid Badie, DDS Blog Dental Myths 101: Can’t I Get My Teeth Whitened at a Beauty Salon? Effective tooth whitening is something that a lot of Americans are looking for. But not all tooth whitening methods are created equal, and not all of them deliver the same results. The at-home solutions are arguably the most convenient, but their effectiveness tends to vary. And while beauty salons are now offering tooth whitening as a service, these salons often lack the staff, qualifications, and legal standing to provide this service. So why is the dentist’s office the best place to get your teeth whitened? Here’s what you need to know. The American Dental Association classifies teeth whitening as a dental procedure, and the association claims that any non-dentist who offers teeth whitening services is practicing dentistry without a license. Spokespeople for the American Dental Association have previously stated in media interviews that a lack of regulatory oversight in beauty salons makes it difficult to ensure the treatments are sanitary and safe. Beauty salons aren’t subject to the same licensing and inspection requirements that dentist’s offices are required to follow, and the beauty industry lacks a major regulatory body. That means there’s no guarantee that the whitening procedures used in beauty salons are safe, effective, or FDA-approved. In contrast, the dental industry has thorough licensing and inspection procedures, and every state has its own dental regulatory board. At-home whitening kits are somewhat regulated, but that doesn’t necessarily make them safe. One 2011 article in the magazine Prevention described the ordeal of Mona Schlater-Hewlett, a Los Angeles educational program advisor who suffered intense tooth pain after using an at-home tooth whitening solution prescribed by her dentist. The author also describes several other side effects that at-home whitening kits are producing, such as gum irritation. And consumers who use a bleaching solution when they have a cavity may end up experiencing significant pain and end up needing a root canal. Clearly at-home whitening kits aren’t a safe solution, either. If you want a brighter smile, the best way to get it is to simply see your dentist. The whitening procedure your Tucson dentist provides is not only more effective than over-the-counter solutions, but also much safer. Your dentist has had years of training in administering whitening procedures, and the controlled, professional environment means that you’re completely safe from side effects. Here at Badie Dental, we use the proven Zoom! Chairside Whitening System, which can get your teeth up to 8 shades whiter after just a single one-hour treatment. We also offer DayWhite and NiteWhite take-home kits that you can use at home. These kits are available only through licensed dentists, and offer better results and safer outcomes than over-the-counter solutions. For more information about tooth whitening solutions, or to schedule your appointment with Dr. Badie, call Badie Dental at (520) 433-9800.